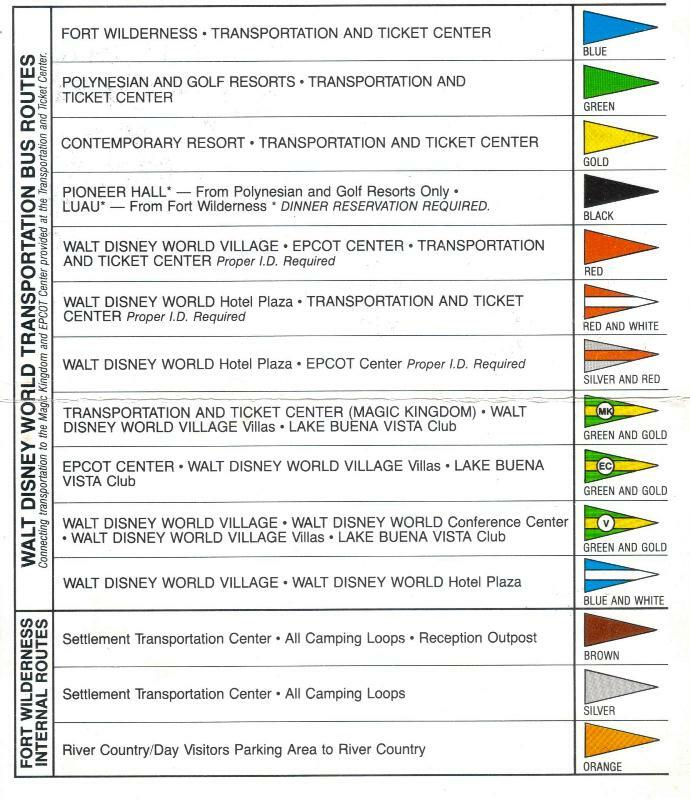 When I was a child at Fort Wilderness we would sit at our bus stop in front of Jack Rabbit Run and wait for a bus with the orange flag that would take us back to the Settlement Outpost. 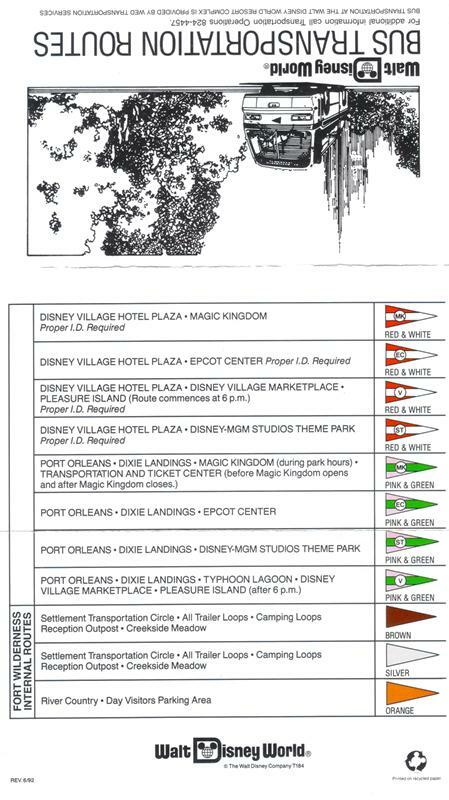 From here we would catch another bus to the Transportation and Ticket Center, visit River Country, or hope a motor launch to the Contemporary or Magic Kingdom. 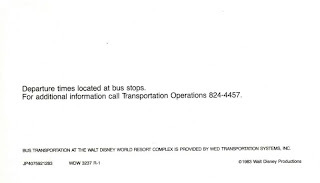 In those days there were only a handful of bus routes to get around Walt Disney World with, and the Bus Transportation Routes card was the way to navigate through your trip. 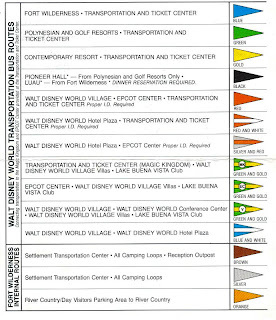 My sister and I would carry the card around us trying to find as many of the different flags as we could on a given trip, and we were always excited when we got to take a trip to somewhere new and had a new bus flag to find. 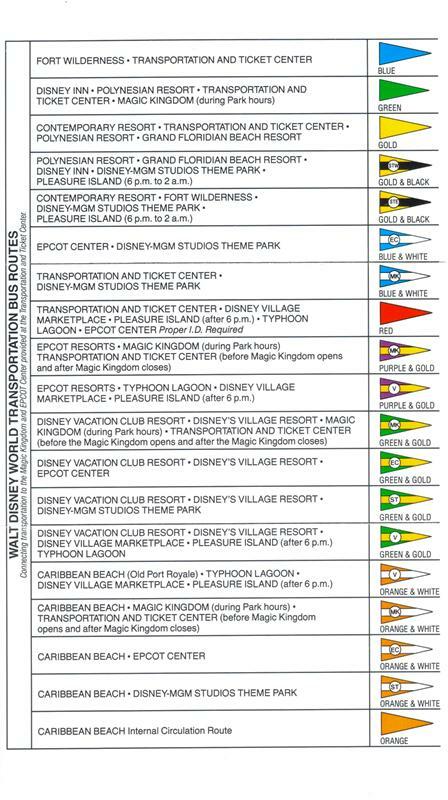 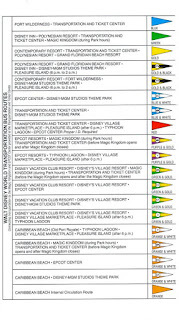 Fast forward a few years to 1992, and this small postcard became a trifold card with thirty routes to handle all of the new resorts, Disney-MGM Studios, Typhoon Lagoon, and Pleasure Island. 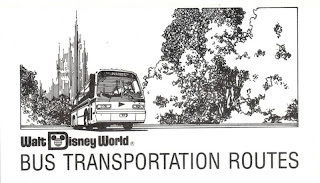 Eventually the Bus Transportation Routes cards disappeared and the busses were given dedicated stops with electronic banners announcing their destinations. 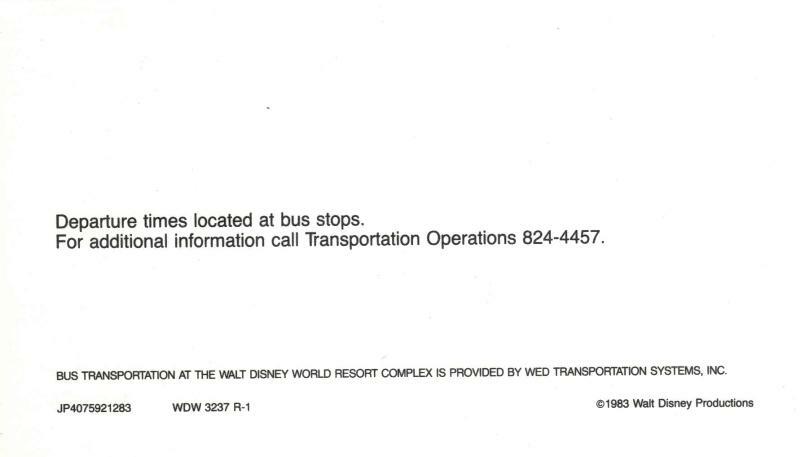 While I miss the cards, I can’t argue that a card with pages and pages of route information wouldn’t exactly provide the same easy to obtain information and wouldn’t be anywhere near as portable. That said, the graphic of the bus and castle stands as one of my favorite from my childhood of Walt Disney World. What flag pattern did you always look out for during those early years of Walt Disney World?